Pre-school education – or nursery school education – is something that applies to children between the ages of three and five. Children between these ages can attend pre-school or nursery on a daily basis for a morning or for a set number of hours to allow them to begin learning and also to become acclimatised to interacting with other children and spending time away from their parents. Pre-School education is aimed at children between the ages of three and five and is designed to help them adjust and prepare them for the move into primary school. The aim of Pre-School education primarily is to encourage children who have not interacted with children outside of their own social network to engage with other children and to learn how to build friendships whilst taking the first tentative steps into the world of learning. 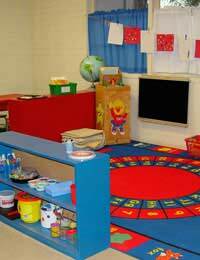 Does My Child Qualify for Pre-School Education? If your child is between the ages of three and five then the answer is yes. You may find however that it is necessary to put your child’s name on a list especially if you have a preferred nursery or pre-school group in mind. Every child has the right to an education and as such a place must be found for them in a pre-school group or nursery but this again is indicative of whether or not a place is available. Given your circumstances you may find that your child cannot attend a pre-school group or nursery outside of your so-called Catchment Area and it is best to have a first and second choice. Can I Get Involved with Pre-School Groups? The answer to this is yes and there are many Pre-School groups that would welcome the intervention and assistance of volunteers even if only to help with monitoring playground activities at set times of the day. If you wish to help out with your local Pre-School group it is best to contact the headteacher or supervisor in the first instance. However you will find that if you are accepted as a volunteer you will not be allowed to volunteer with a group of children if your own child is amongst them; this can lead to disruption and cause jealousy amongst the children. As with all positions involving the care of children a Disclosure and Barring Service (DBS), check is required before you can commence working with them and depending on finances the Pre-School group may well pay for this or you will be asked to pay for the disclosure yourself. Again it is important to note that without this disclosure you will not be allowed to volunteer so it is wise to sort out any and all paperwork well in advance. If you are unsure as to how to go about volunteering to help out with Pre-School groups you can contact your Local Education Authority and they will be happy to point you in the right direction. Otherwise you can contact schools or nurseries in your area directly if you are happy that you are up to speed with what you are doing. It is also worth noting that although this work is unpaid the experience you will gain may prove invaluable if – at any time in the future – you wish to take up a career looking after or caring for children.